Watch our webinar & we'll take you through 10 easy steps for putting together your own Cyber Monday strategy. 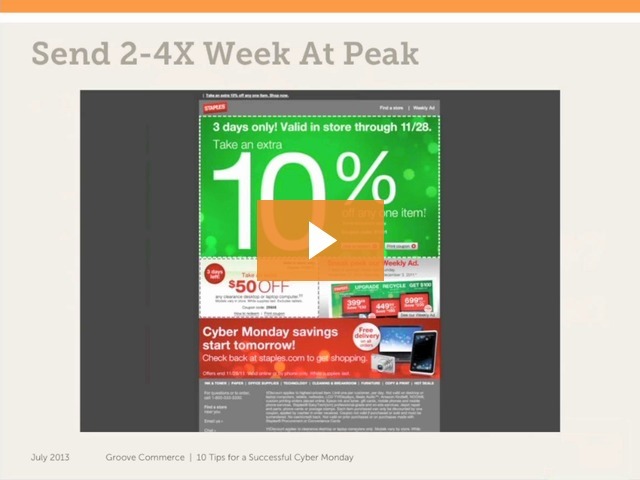 Did you know Cyber Monday sales increased 30%* in 2012? Don't let your business fall behind this Cyber Monday. Join us for our webinar and we'll take you through 10 easy steps for putting together your own Cyber Monday strategy.